Smoke alarms are commonplace in homes, but fire extinguishers are still underutilized and misunderstood safety tools for many renters and homeowners. We want you to know that owning the proper extinguishers and understanding their correct use could mean the difference between a major fire loss to your property and a relatively minor cleanup. 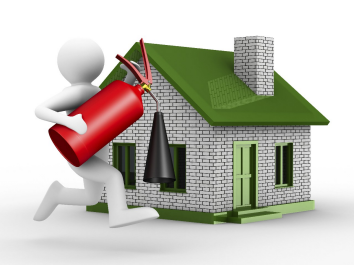 Smoke alarms and the proper use of fire extinguishers can help minimize the risk of a small fire turning into a major conflagration. But when the worst happens, the proper insurance coverage is an excellent and necessary safety net. Talk with us about a review of your current insurance coverage to be sure you, your family and your valuable possessions have the protection you want and deserve.